The vast Süleymaniye Mosque was built in the 1550s and like the later Sultan Ahmed Mosque, lifts its hat in acknowledgement to Hagia Sophia. The three buildings have a similar appearance, all being dominated by a large dome. It was, as its name suggests, ordered by Sultan Süleyman (‘the Magnificent’) and completed some eight years before his death. 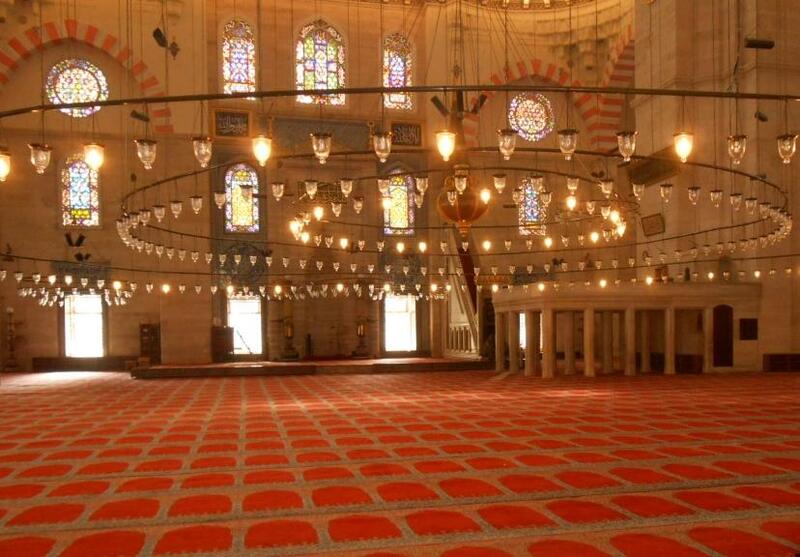 The Süleymaniye is, perhaps, the most impressive of Istanbul’s mosques. The courtyard is particularly splendid, with its elegant colonnaded arches. Inside, the space feels huge, the area (almost) a square with light flooding in. The interior does not have the abundance of ceramic tiles of the Sultan Ahmed, with rather more subtle decorations being the order of the day. The lovely gardens house two mausoleums, one containing the tomb of Sultan Süleyman. Also here is the tomb of Mimar Sinan, the architect charged with designing the mosque. 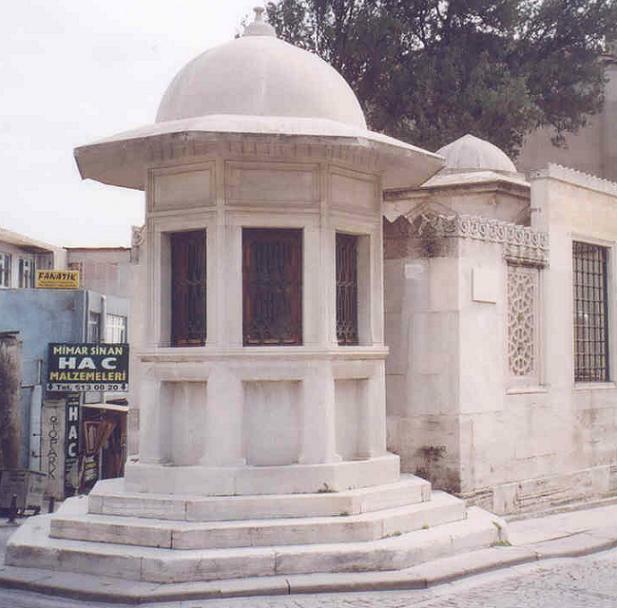 Fittingly, Sinan designed his own tomb, a triangular affair that is modest in appearance, suggesting that his deserved reputation as the greatest of Ottoman architects did not go to his head. 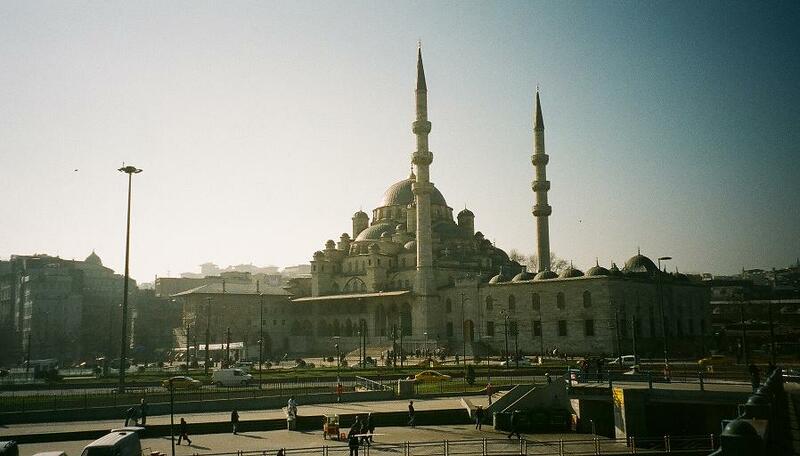 The architect of the Blue Mosque, Sedefkar Mehmed Agha, was a pupil of Sinan and the influence is clearly visible. It’s a pretty safe bet that any sizeable mosque with a domed roof that you encounter in Istanbul was either designed by Sinan or one of his protégés. 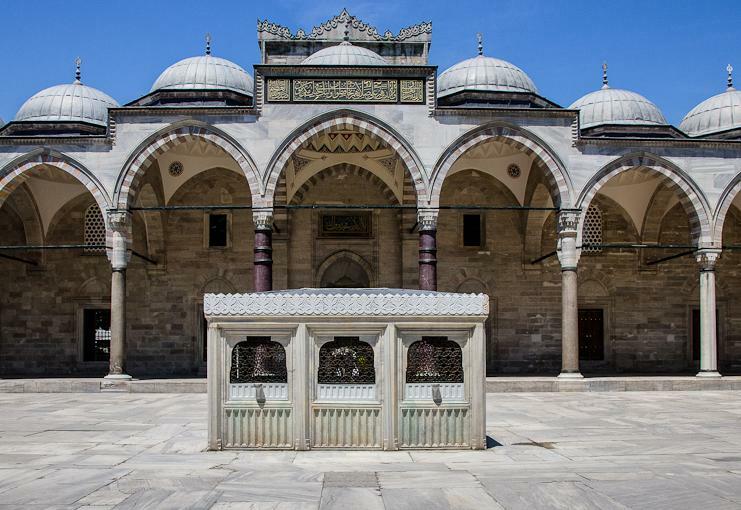 As with most large mosques, the Süleymaniye is a complex of buildings and includes a hamam (bath-house). It is open to the public for use, though there is something faintly disturbing in that free life insurance is offered during a bath. Something to recommend the Süleymaniye is that you don’t get the hordes of tourists that frequent Hagia Sophia and the Blue Mosque. A visit feels much more leisurely here, and there is a row of pleasant little cafés and restaurants next to the mosque, where you can sit with a cup of coffee and admire the architecture and watch the activity. If you find that your visit coincides with a time for prayer, the mosque is next door to the University’s Botanic Gardens, which is a pleasant place to stroll around for a while until the worshippers have gone.